Chronic stress has long been linked with neurodegeneration. Scientists at USC now think they may know why. The study, which has tremendous implications for understanding and treating Alzheimer’s disease, was published in the June issue of The FASEB Journal (the Journal of the Federation of American Societies for Experimental Biology). Corresponding author Kelvin J. A. Davies, the James E. Birren Chair at the USC Davis School of Gerontology, and Professor of Molecular & Computational Biology in the USC Dornsife College, examined the brains of rats that had experienced psychological stresses and found high levels of the RCAN1 gene. Davies and his colleagues suggest that chronic stress — physical or mental — causes overexpression of RCAN1, in turn leading to neurodegenerative disease. Think of a gene as a pattern or mold that generates specific proteins. For example, if 200 RCAN1 proteins are built where only 100 were needed, scientists would describe this as “overexpression” of the RCAN1 gene. In a healthy person, the RCAN1 gene helps cells cope with stress. Overproduction, however, can eventually damage neurons, preventing the brain’s signals from traveling and causing disease. Chronic overproduction of RCAN1 causes hyper-phosphorylation of tau proteins in the brain. 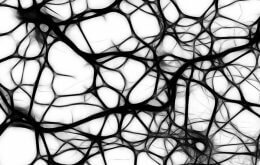 Tau proteins stabilize microtubules, which are like the scaffolding used to build the brain’s neurons. Previous research has shown that when the tau protein binds too much phosphate — a process called hyperphosphorylation — it forms snarls that prevent the brain’s signals from effectively traveling. “One can imagine that it becomes sticky and makes tangled scaffolding,” Davies said. These neurofibrillary tangles eventually choke the life out of neurons, killing off brain function a tiny piece at a time in what is outwardly recognized as degenerative brain disease. Currently, there are two competing theories about the leading cause of neurodegeneration in Alzheimer’s disease: overproduction of the Amyloid Beta peptide and tau hyperphosphorylation. Research in the Davies lab suggests that overexpression of RCAN1 is connected to both, and appears to unite the Amyloid Beta and tau theories of neurodegeneration. “Both are clearly important, and RCAN1 could be the link,” Davies said. RCAN1 has been shown to be chronically overexpressed from birth in the brains of patients with Down syndrome. These patients develop neurofibrillary tangles and typically start to experience the onset of Alzheimer’s disease around age 40. Davies’ lab has also shown a connection between too little RCAN1 production and Huntington’s disease. “Our results suggest that the cellular levels of RCAN1 proteins must be kept within a fairly narrow range in order to avoid serious dysfunction,” Davies said. “By publishing this hypothesis, we hope to stimulate more research on the subject,” he said. USC teamed up with scientists from Monash University of Australia and the Institute of Nuclear Sciences in Serbia on this study. The article is based on research that was funded by the National Institutes of Health and the CHDI Foundation, Inc.